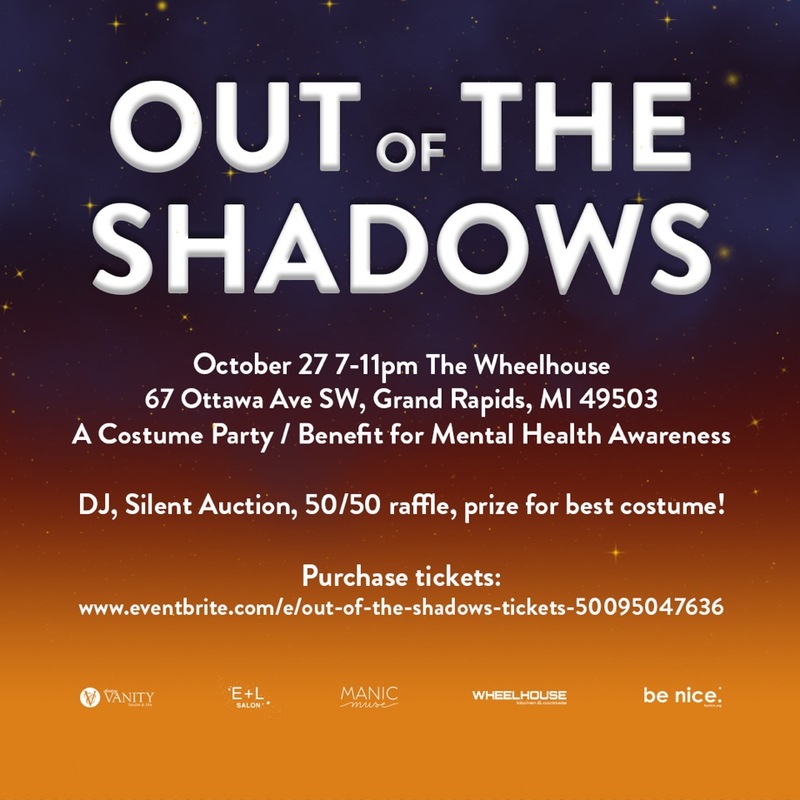 Out of the Shadows is a costume party/benefit on Saturday, October 27th at The Wheelhouse supporting The Mental Health Foundation of West Michigan: BeNice. The funds raised for this event will benefit mental health and suicide prevention education in schools, businesses, and communities throughout West Michigan. This event features a DJ, drinks, snacks, shareable appetizers, a silent auction, a 50/50 raffle, and prize for best costume! To learn more or purchase tickets, click here!